The name – Clu Gulager, is a common and respected name in the entertainment industry; this is because the Hollywood icon not only graced the silver screen in the 1960s and 1970s but has remained active till date. The former U.S Marine got the acting bug while in active service performing in army plays; so when he left the Marine service, he used the GI Bill of Rights to study acting. He kicked off his acting career appearing as Billy the Kid in The Tall Man, an NBC series that aired on the network between 1960-1962. He made his major film debut in 1964 starring as Lee, a professional killer, in Don Siegel’s The Killers. This was followed by a supporting role in 1969’s racing film Winning. In his over five decades in the movie industry, Clu Gulager has starred in over a hundred feature films and TV series which has earned him a couple of awards including the 1966 Bronze Wrangler Award for Best Fictional Television Drama ensemble cast. Sit back as we give you five good reasons to know about this living Hollywood icon. Clu Gulager as he is now popularly known was born in Holdenville, Oklahoma on the 16th day of November 1928 as William Martin Gulager. His father, John Delancy Gulager was an actor who abandoned his acting profession for Law. He has a Cherokee Indian ancestry and the name Clu he got from his father who nicknamed him thus due to the clu-clu birds which were nesting at their home at the time of Gulager’s birth. He served in the U.S Marines for two years (1946-1948) where he got his acting bug performing in army plays. After he left the Marines, he attended Northeastern State University Tahlequah, Oklahoma briefly before getting a transfer to the Baptist-affiliated University; Baylor University in Waco, Texas. In 1951, he got a one-year scholarship to study abroad and while studying abroad, he worked under an internationally known French actor and director, Jean Louis Barrault. Gulager is a first cousin of former U.S stage and motion picture actor, Will Rogers. Clu Gulager’s paternal grandmother, Martha Schrimsher, and Roger’s mom, Mary Scrimshaw, were sisters. He kicked off his acting career in the late 1950s, starring in a number of TV series. His first was in a 1958 episode of Western TV series Have Gun-Will Travel titled “The Return of Roy Carter” as Roy Carter. The following year, he played Tommy Pavlock in an episode of NBC’s series The Lawless Years. In June of the same year (1959), he played Elliott Garrison, the unscrupulous photographer in “The Andrew Hale Story” on NBC’s Wagon Train. Between 1960-62, Clu Gulager played Billy the Kid in The Tall Man alongside Barry Sullivan. He also played Emmett Ryker in The Virginian, another NBC Western series which aired on the network between 1962 to 1971. As previously mentioned, he made his major film debut in 1964 starring as a professional killer called Lee in The Killers. He has starred in several other movies including The Last Picture Show, The Initiation (1984), The Return of the Living Dead, among others. In 2005, he appeared as the Bartender in the horror film Feast, as well as its sequels. He also appeared as the Cherokee in 2015’s critically acclaimed independent film Tangerine. His most recent movies include Blue Jay (2016), Children of the Corn: Runaway, Give Til It Hurts (2018) and Once Upon a Time in Hollywood (2019). Not many know the renowned actor as a director but he has also tried his hands in directing too. In 1969, he directed a short film A Day with the Boys, which was nominated for the prestigious Palme d’Or for Best Short Film at the Cannes Film Festival that year. 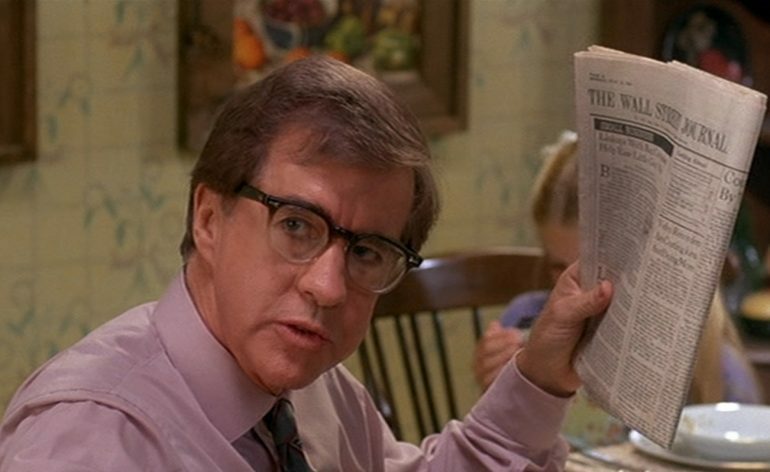 Clu Gulager’s net worth is currently estimated to be $10 million; this is a sum of his earnings from his many years as an actor and also a director. Upon his return from his one year study abroad, Clu Gulager got married to actress, Miriam Byrd Nethery, and they remained married till Miriam passed away in 2003 after a long battle with cancer. They had two sons together – Tom and John Gulager, who are also actors. John is also a well-known cinematographer and director.